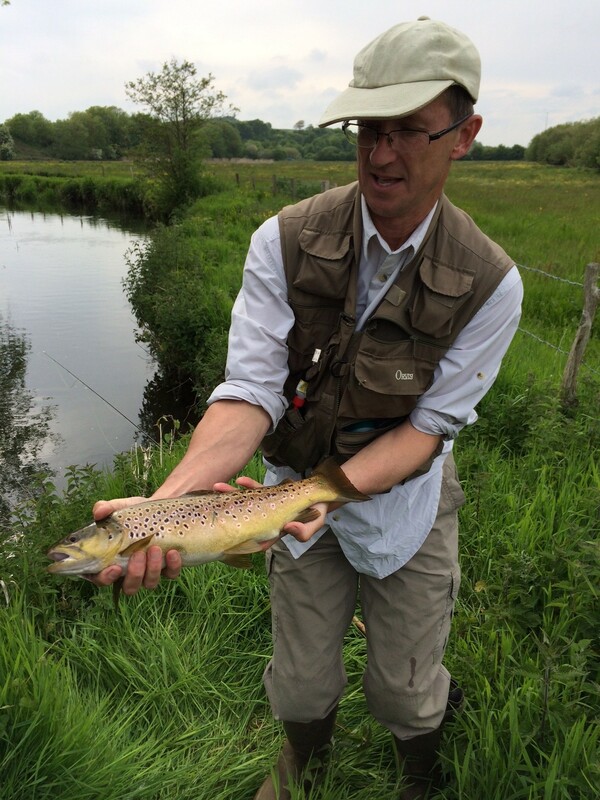 I had a great visit to the upper water yesterday afternoon – with a decent hatch of mayfly, though strangely localised, and a heavy fall of spinner from 5.00 pm onwards. A spinner imitation caught this beauty who was feeding greedily. Just time for a quick photo, before she was safely returned to the water – though I forgot to measure it !